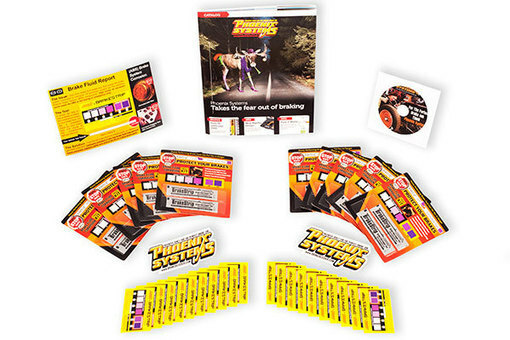 Everything that you will need to get started using BrakeStrip is in this kit. You will be able to show your competition that you mean business when it comes to flushing brake systems. BrakeStrip is a medical grade test strip used to determine when Brake Fluid needs to be flushed. It is like a cholesterol test for your car. The strips are non-hazardous and work on DOT 3, 4, 5.1 brake fluids including synthetics. If you follow the 6 easy steps above you will flush 1 out of every 5 cars you test or more. In a world where customers are becoming more and more skeptical it is reassuring to have visual proof of a needed service. Your request is processed and one of our representatives will contact you soon.